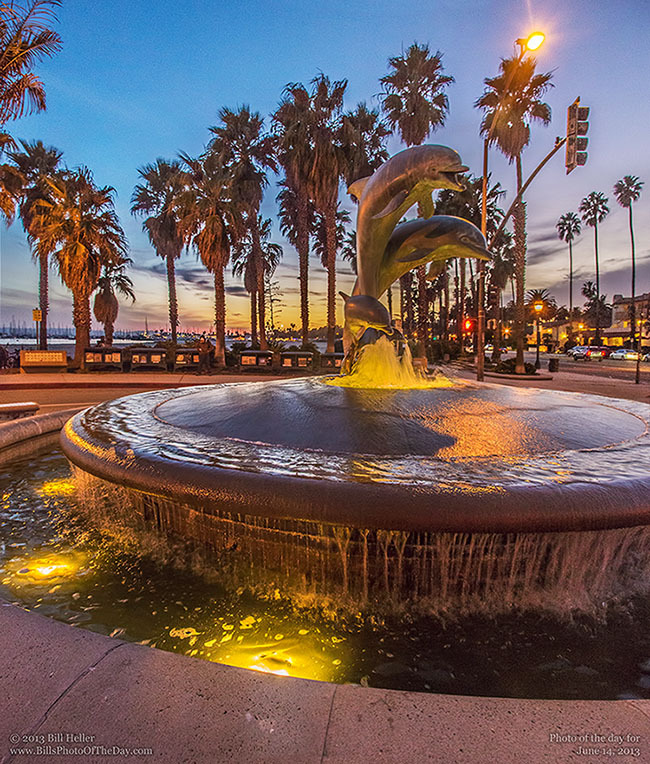 This beautiful fountain is at the base of Stearns Wharf in Santa Barbara. The Dolphins were sculpted by local artist Bud Bottoms, who is also the creator of the very cool whale tail benches you might see around Santa Barbara from the Harbor to La Arcada Plaza. This evening the sunset was a perfect backdrop for the beautiful Santa Barbara landmark.